Challenges of sustainability and transition need innovative tools for the understanding, mapping, designing and governing of manmade sites and territories. 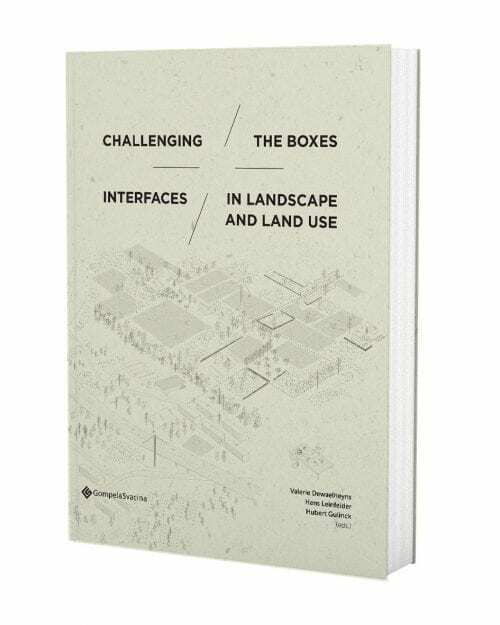 Complementary to standard land use categories, such as housing and agriculture, this book of essays introduces eleven ‘interface categories’, labels for land use interactions, transitions, mixes, and spatial and temporal positions in between. Authors from different disciplines describe and illustrate how this set of interfaces resonates with their own projects, challenges and agendas, and how it sheds light on new land use agents, on unregistered forms of land occupation, and on opportunities for socio-economic and ecosystem services. The concept of interfaces encourages the development of adapted modes of planning and management for urban, rural or natural environments, and on different spatial scales. Valerie Dewaelheyns is a policy maker at the spatial planning department of the Province Vlaams-Brabant, Belgium. Hans Leinfelder is assistant professor at the Faculty and the Department of Architecture at KU Leuven, Belgium. Hubert Gulinck is professor emeritus at the Department of Earth and Environmental Sciences of KU Leuven, Belgium.